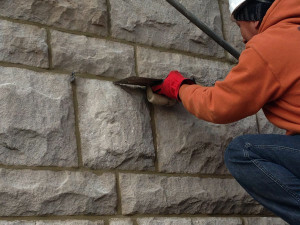 The rehabilitation and effective restoration of building facades depends on the familiarity of your restoration contractor with the type of the materials that comprise your facade, the reason for deterioration, and knowledge of the how to properly use the latest repair techniques available to rectify the issues. Adriatic Restoration’s façade restoration specialists are recognized experts in façade restoration, rehabilitation, and waterproofing. They specialize in the systems used to upgrade and maintain building facades. Concrete repair, masonry repair, balcony repair, caulking replacement and waterproof coatings are some of the more common facets of our façade repair and restoration services. Flashing Lintels, Metal Flashing & Masonry Repairs are some of the other services we provide.